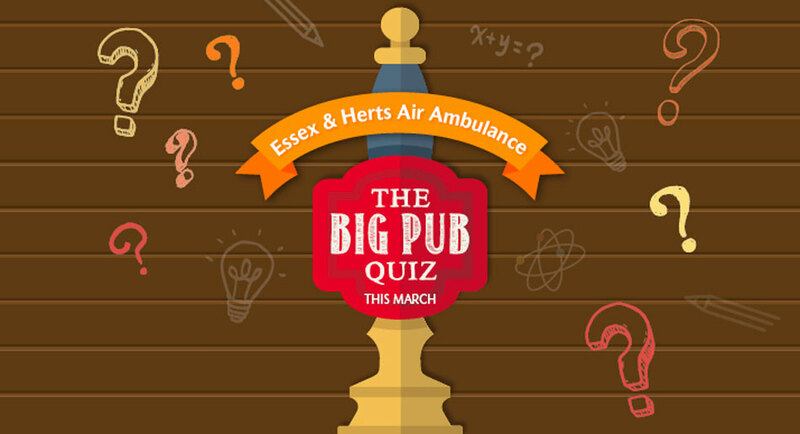 In March 2018, 66 pubs across Essex and Hertfordshire took part in the ‘The Big Pub Quiz,’ raising over £14,000. This year we are pleased to be one of the pubs taking part and hoping to help them raise even more. Tickets are £15 per person with £5 going directly to Essex & Herts Air Ambulance and includes a curry & rice for dinner on the night. We will also be holding a raffle on the night if you have any prizes you would like to donate please get in touch.